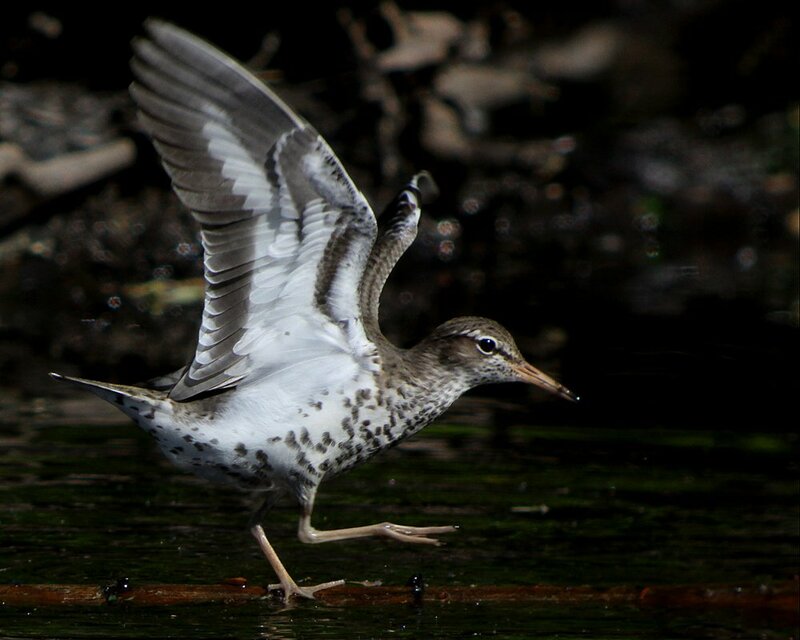 Spotted Sandpipers are cool little birds, easily identified by a host of field marks and behaviors. 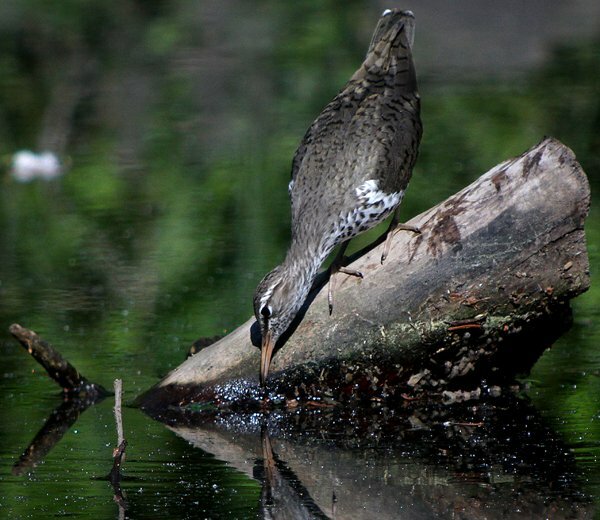 Their stiff-winged flight is a great way to identify them at a distance, as is their tendency to bob their tail end up and down as they make their way along the edges of ponds, lakes, or virtually any other body of water. 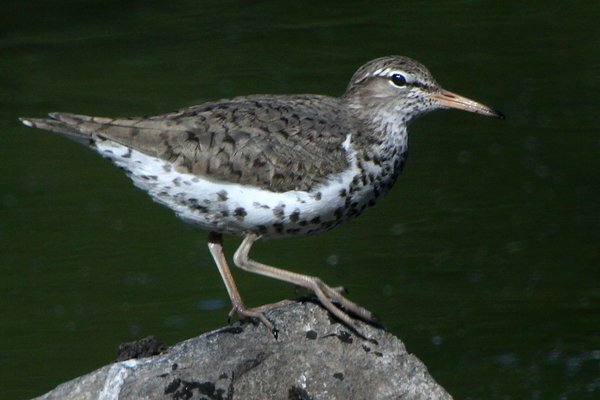 They are, of course, spotted, but only in alternate plumage. 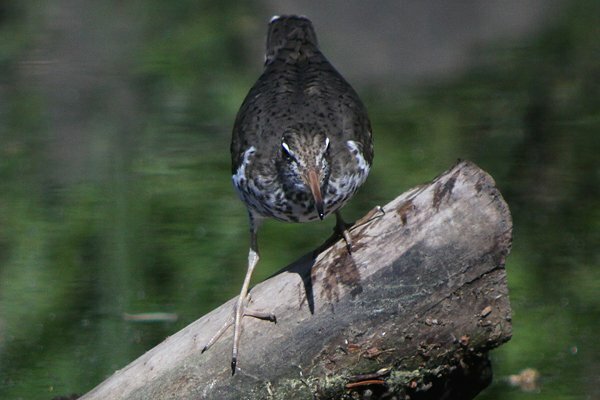 When they are not getting ready to breed they are a pretty bland brown-and-white bird. Actitus macularius, as spotties are known to the scientific set, are widespread across North America and winter across Central and South America, even as far south as Chile. 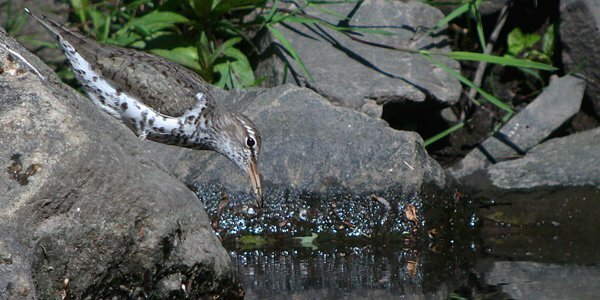 The bird in these photos was foraging in the pond at the south end of Van Saun Park in northern New Jersey, a place I often stop to bird briefly on my way to work. 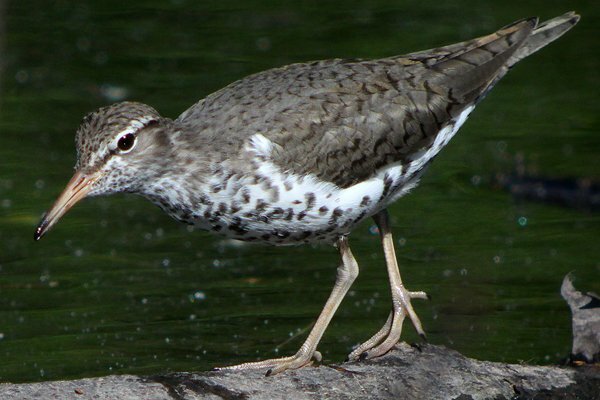 It is one of only three shorebird species I have spotted in the park, the others being Killdeer and Solitary Sandpiper, another couple of species that range widely across North America and that seem to have not much concern for the comings and goings of people. 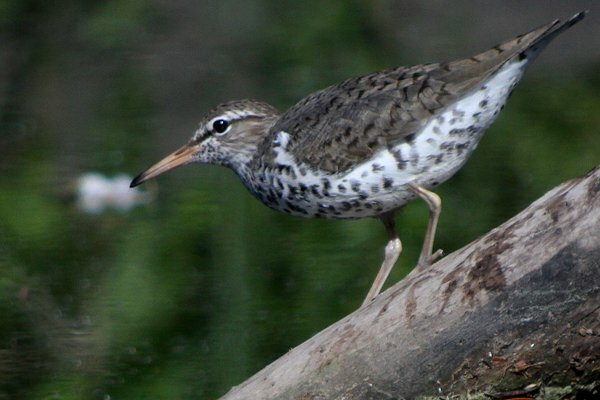 Because of their huge range and large (though declining) population, BirdLife International lists the Spotted Sandpiper as a Species of Least Concern, good news to shorebird lovers everywhere. 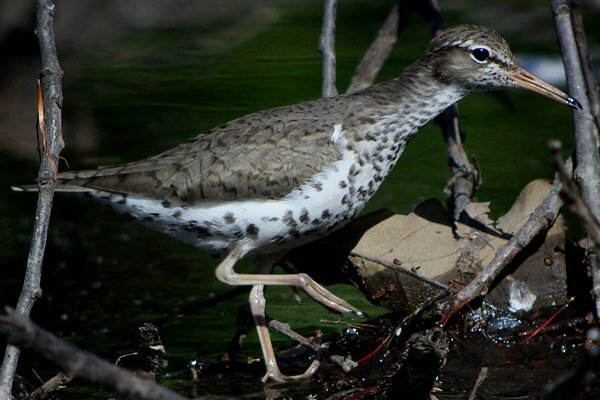 Great photos and very helpful ID tips. Thanks!